After the heist, there’s always room for an argument – an argument about who gets the least, who gets the most, who gets enough. 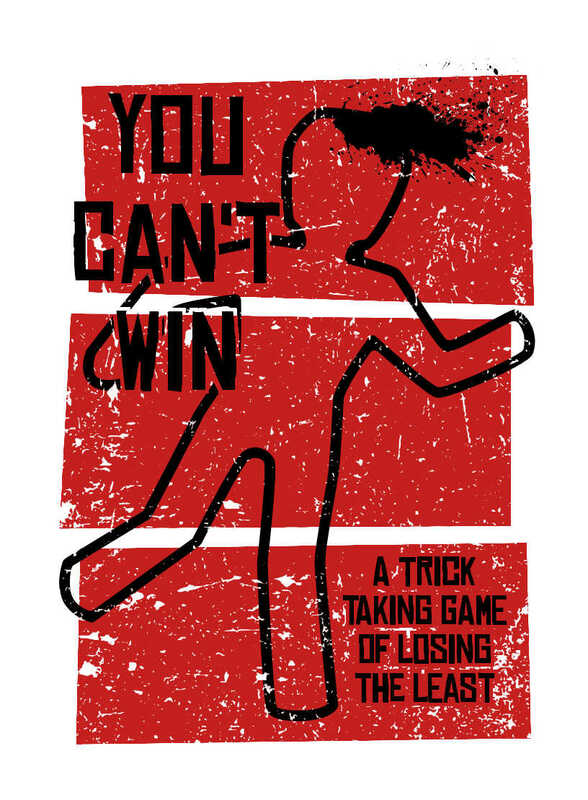 You Can’t Win is a player-versus-player trick-taking rule-making game. Each round, you’ll try and lay out a rule for the rest of the game, you’ll see if that rule sticks, then see if your final card is one of the few cards that has a chance. And maybe you’ll find you just can’t win. But maybe you can make sure someone else can’t win, too. You Can’t Win comes with twenty cards and two facing cards for the deck to keep things looking nice. You Can’t Win requires very little table area, and players will need to be able to read or handle one another’s cards, so being able to reach a common area is important. It does require some reading, but not much math. The game’s in a single shared deck that only needs to be shuffled once per game, and nobody needs anything to track the game’s points. Want to Buy You Can’t Win? For international customers, you may prefer to buy print-on-demand via DriveThruCards (the same printer we use for our local stock). You can buy You Can’t Win at DriveThruCards as a professionally printed card deck. Already bought Cat & The Mouse? Download the latest revision of the You Can’t Win rulebook. You can also follow us to receive notifications of rules updates!